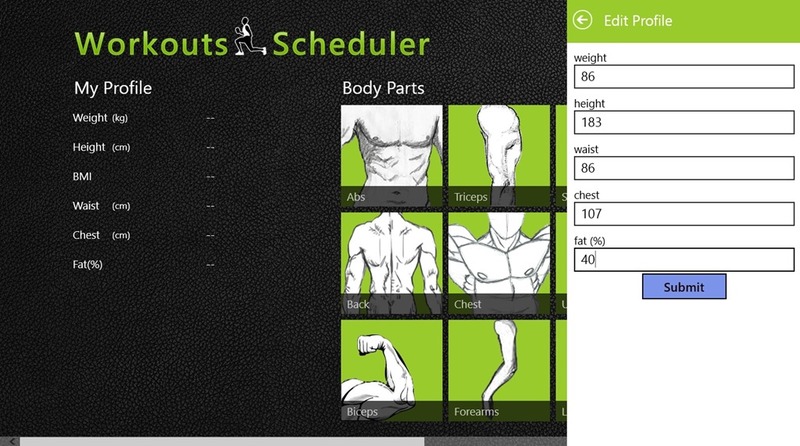 Workouts Scheduler is a free Windows 8 Workout Scheduler. In this Workout Scheduler, you can set workout schedules. You can add as many schedules as you like. 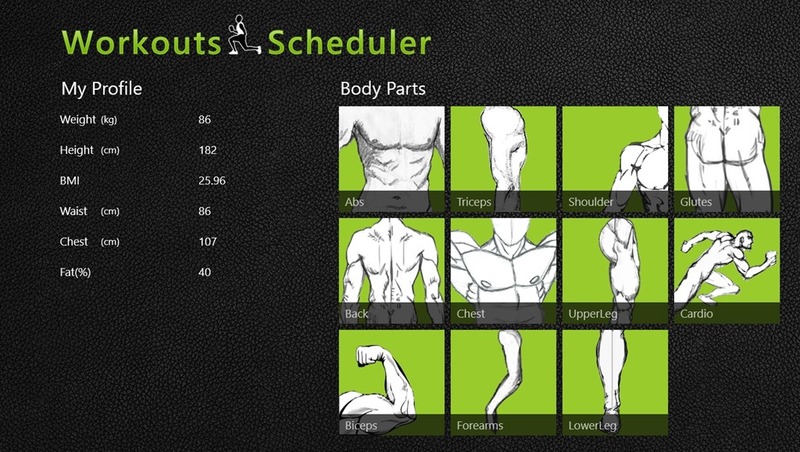 Along with it, Workouts Scheduler also lets you to learn the various Workout Techniques and Exercises. For all the exercises and workout techniques that are available here, there are good quality animated graphics available, using which you can understand the technique more efficiently and easily. Exercises are available for all body parts. In addition to that, you can share what you do, with others, by using the Windows 8 Share Charm. Workouts Scheduler also provides you with new tips for improving health whenever you use the app. 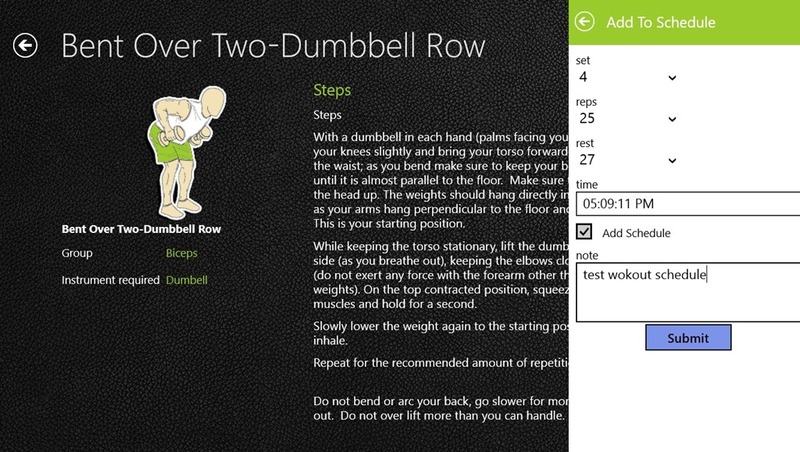 This Windows 8 Workout Scheduler is freely available in the Health & Fitness category of the Windows Store. Let’s get you better introduced with the app, regarding how can you use it to get best results, how can you set schedules in it, and other stuff where it is used. Using this Windows 8 Workout Scheduler is quite easy. On the landing page of the app, your Profile, different body parts, your schedules, and Tips for the day will be shown. You can edit your profile by using the Bottom Flyout that appears if you right click anywhere on the app. From the bottom flyout you can select the Add Profile option to add your profile. You can get to any particular body part which is shown here. 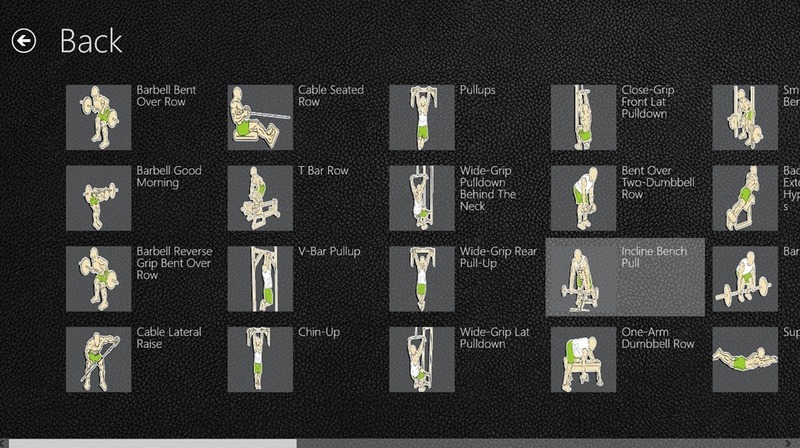 Clicking on it will show you all the different exercises and routines which are available to you. 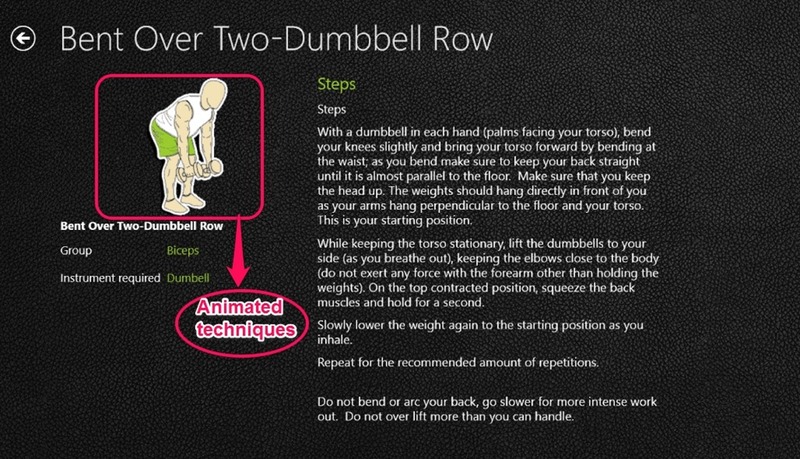 For each of the exercise that is available in this Windows 8 Workout Scheduler, there is a good quality animation used to show the exercise technique, so that you can understand it more easily. To add new workout schedule for any exercise, open it and get to the option to Add Schedule (that is available in the bottom flyout). As you use this option, a panel will open on the right side of this Windows 8 Workout Scheduler, from where you can set the Schedule. As you add the Schedule, and can edit it from the main landing page of the app. On the landing page of this Windows 8 Workout Scheduler, there will appear a category named ‘My Workouts’ from where you can get to your Workout Schedules. Then, use the bottom flyout that appears here if you right click anywhere. There is an option to edit given here, which you can use to edit your schedule. Also check 3Mb Blood Pressure Tracker and Daily Workouts. Add as many schedules as you like. Availability of textual instructions and animations to help you understand the technique in a better way. Share what you do with others using the Windows 8 Share Charm. 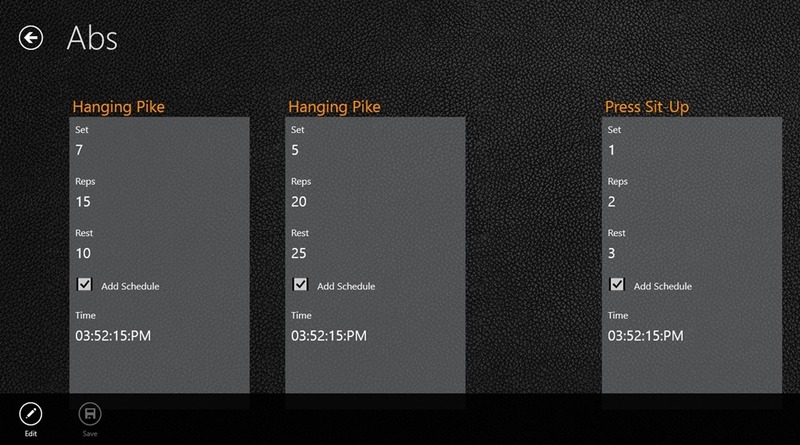 You can use this Windows 8 Workouts Scheduler to schedule Workouts for the same day only. There is no option to add schedules for any other date, expect the current date. Rest all is good. It uses good methods to help the users to understand the exercises more efficiently. Check it for sure to know better. Share your experience with us.